With a strong interest in living simple, I have been really searching for the meaning in everything that takes up space in my house. Clothes, my children’s toy, kitchen gadgets, books…these are all easy to dispose of for me. The hardest seems to be the jewelry (hmm go figure). 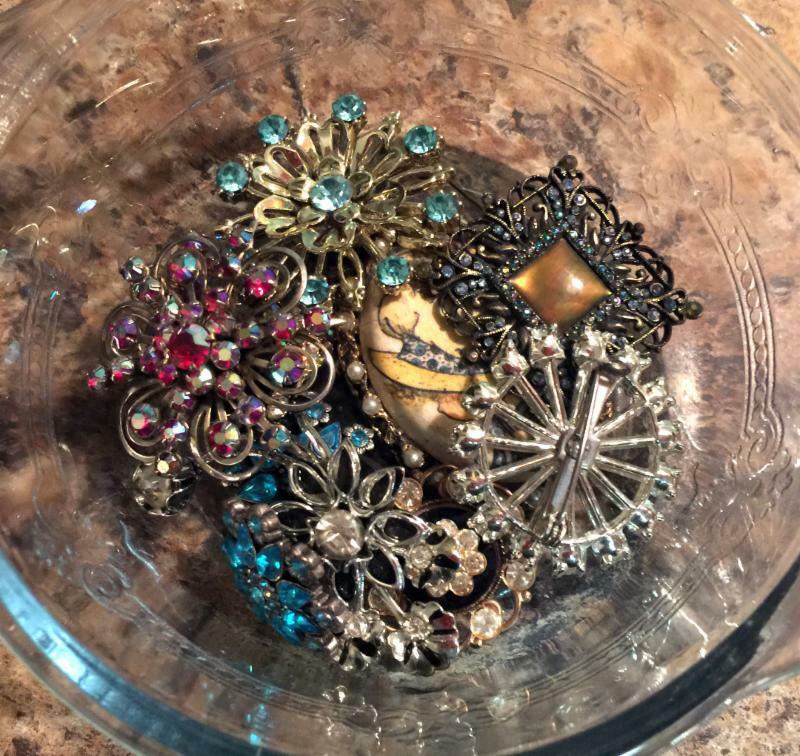 I have jewelry boxes full of memories, things that sparkle, and pieces that speak to me. 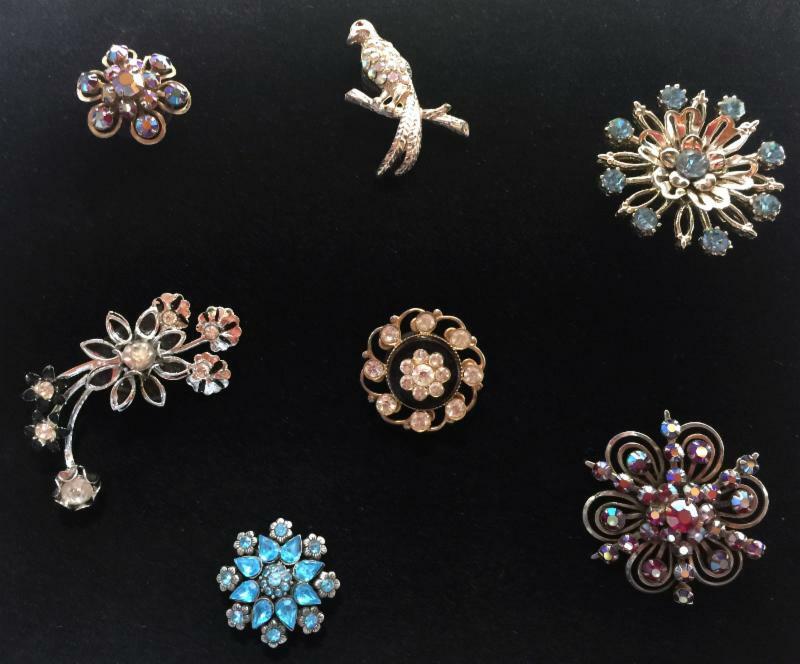 However, the items that are hardly ever worn are several brooches and clip on earrings I have inherited from grandparents. My children always have artwork, pictures or calendars that need to be hung on the refrigerator. 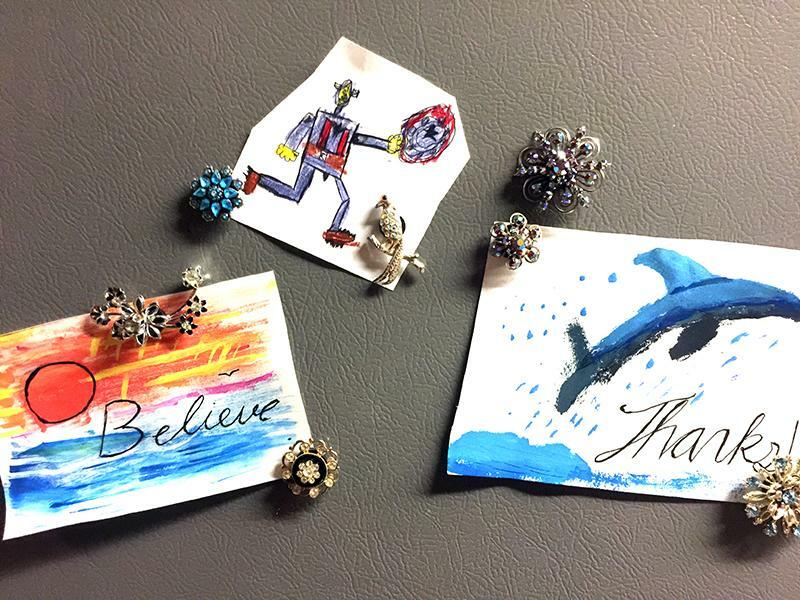 Why not take my grandma’s old brooches or clip on earrings that currently do nothing and make them into magnets that will be cherished and seen every day? It is important to consider a few things before restyling vintage pieces. If you are a collector, a vintage piece may actually hold some monetary value. Do not cut or damage your piece if you are not okay with the possibility that the value of the piece with drop significantly. Once you alter the piece, there is no going back. If you accidentally damage it in the process, are you willing to say goodbye to the piece forever? The two pieces pictured below actually came from my grandmother and my husband’s grandmother. 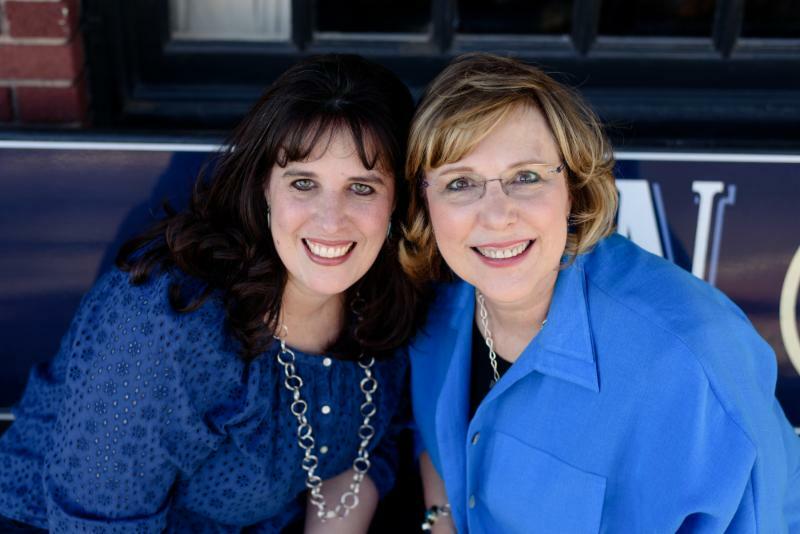 They are made by Sarah Coventry which was recognized as the oldest direct selling jewelry company in the world. 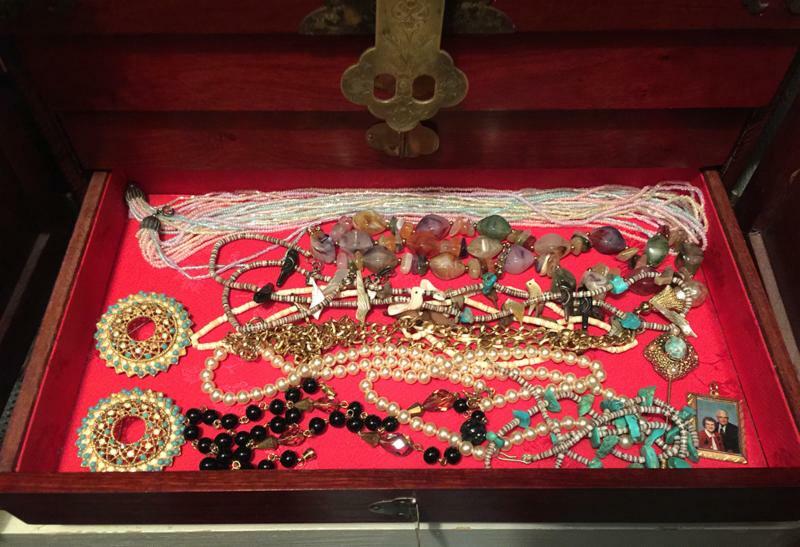 The fact that I inherited each piece from two relatives who never knew each other, lived in different states and had the exact same piece, is so special and meaningful to me that I would never alter or sell these pieces. 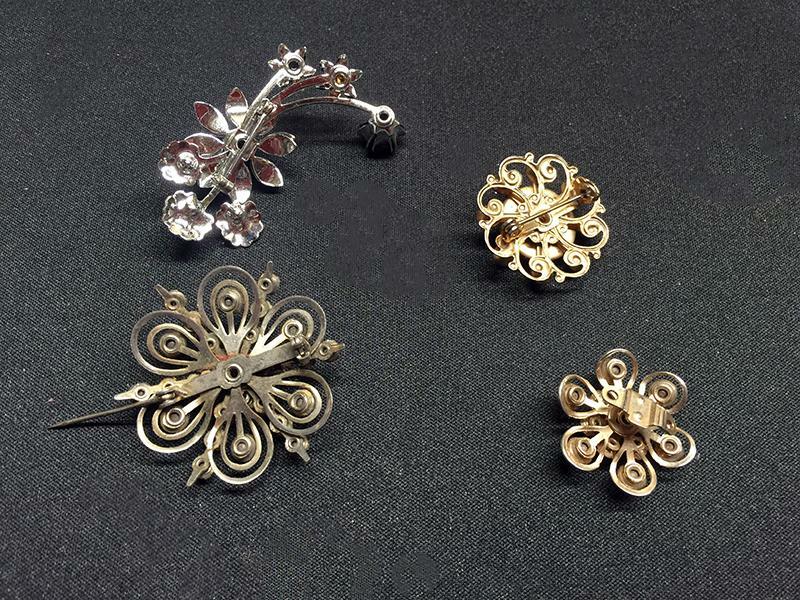 Initially I was nervous about removing the pins and clips from the brooches and earrings I had picked out to alter. I did not want to damage the front side of the pieces as some of them are over 40 years old. I bent, sawed and carefully filed as much of the back as possible to make a nice flat backing to glue the magnet onto. 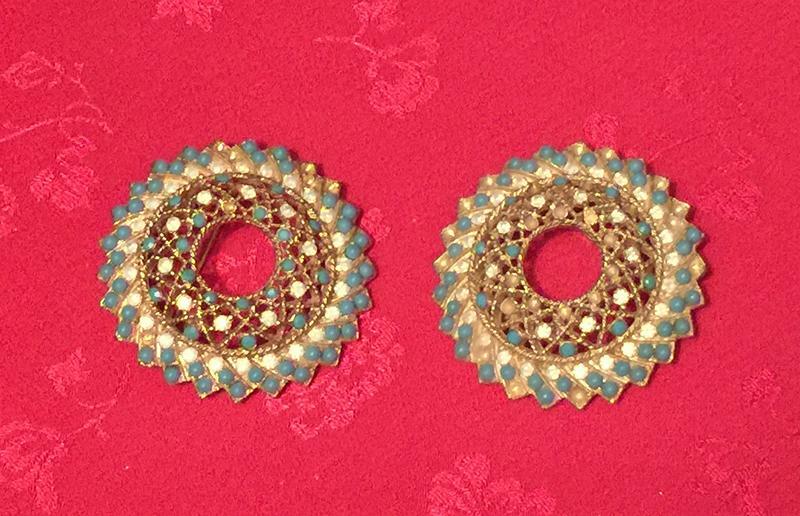 Since the brooches and earrings were so old, I found the backings came off with very little effort. Once I filed down the rough edges and created a flat surface, I glued magnets to the backs. I used round magnets with 2 part epoxy Gorilla glue and the process was easy peasy! Not only can I have fond memories to recall every day while enjoying new artwork my children create, but these also make perfect gifts. The enjoyment can be shared with any family members who may feel connected with the special memories as well. We wish you a Happy Mother’s Day!